We understand that some gold pieces, particularly jewelry and gold coins, carry a lot of sentimental value. They may be family heirlooms passed down for generations, or historical artifacts and antiques. Whatever the case, parting from your gold valuables might be impossible. At the same time, we are often in need of a quick supply of cash to afford necessities, pay off pressing bills, keep our businesses running, or for other common life emergencies. For these reasons, CashCity offers a loan for your gold, quickly and conveniently. As soon as your loan is paid back, your precious gold is returned to you exactly the way you left it. With the most competitive rates in the industry, plus a safe and secure deposit, you can rest assured knowing your valuables are in great hands, and you are maximizing the amount of money you can get. Best of all, new customers can enjoy double the term at absolutely no extra charge. Why get a gold loan from Cash City? Come into our Etobicoke location today to learn more about gold loans and get much-needed funds in your hands fast. Do you accept any other metals, forms of jewelry or valuables? Currently, CashCity only accepts gold for loans. However, the gold can come in virtually any shape or form – jewelry, coins, bars, artifacts, and most other objects. You can freely pawn any of your gold for a much-needed loan. What is the advantage of a gold loan as opposed to other types of loans? When it comes to gold, you are providing us with a secure, valuable collateral. Thus, the risk on our end is minimal, and because of this, we can offer some of the best and most affordable loan rates. Gold loans often end up being far more convenient and cost-effective of all loan types, including payday loans. How big of a loan can I get for my gold? The maximum loan sum you can get depends on the gold you bring in, primarily its weight and purity. The greater the weight and purity of gold, the larger the loan available to you. CashCity will expertly appraise your gold, and give you the best possible value. Why choose CashCity to get money for my gold? Most loan for gold services and pawn shops give short-term loans of about 30 days. 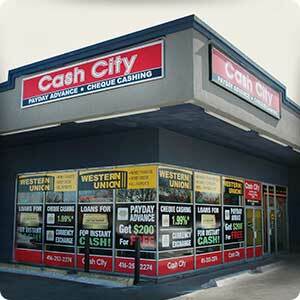 CashCity offers its new customers double the term, at absolutely no extra charge. Go ahead, and take 60 days to pay off your loan! Our convenient Etobicoke location, friendly service, and long operating hours only make the experience more convenient and pleasant for you. Stop by our convenient Etobicoke location, together with your gold and a valid government-issued photo ID. CashCity will appraise your gold and offer you a maximum loan sum based on your gold’s weight and purity. It is up to you to decide how much money you would like to take, up to the maximum that is offered. You’ll get the cash you want, and we’ll keep your valuables in a safe and secure place. As soon as your loan is paid back, your gold is returned to you, exactly the way you brought it.